In 2019 work will continue on the $10 million revitalisation, which includes six kilometres of new walking and cycling paths from Eel Race Road through Seaford and on to Frankston, a new community open space and playscape in RF Miles Reserve and planting more than 100,000 trees, shrubs and low-lying vegetation. The oval at RF Miles Reserve will be ready to play on in time for the 2020 footy season. From Monday 1 April 2019 to mid 2020 up to 20 car spaces will be closed in the Kananook Station car park. 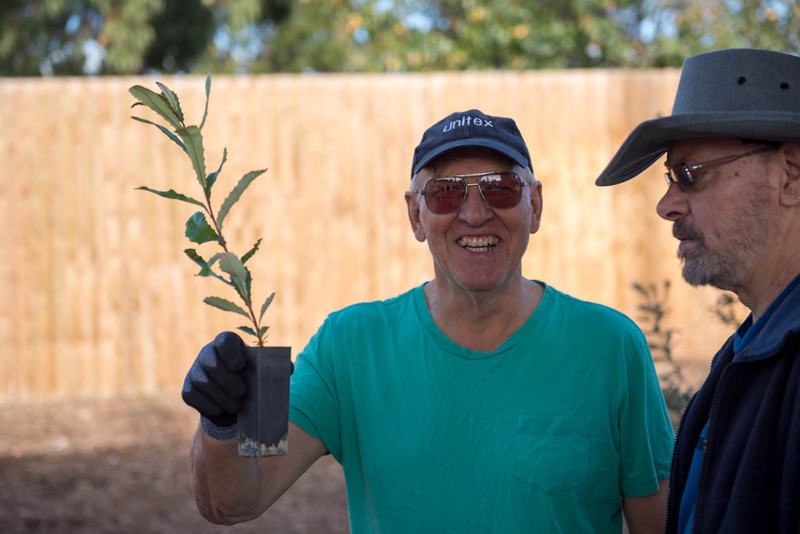 Locals gave our gardeners a helping hand at the weekend to dig into the first stage of major planting as part of Seaford’s $10 million revitalisation. Seaford is set to be a more connected and leafy seaside suburb with the final designs for the $10 million revitalisation of Seaford announced today. The first stage of planting on the Seaford Revitalisation site. Design renders for the new Carrum revitalisation plans. We’re removing 18 level crossings along the Frankston line to improve safety, reduce congestion and run more trains, more often.